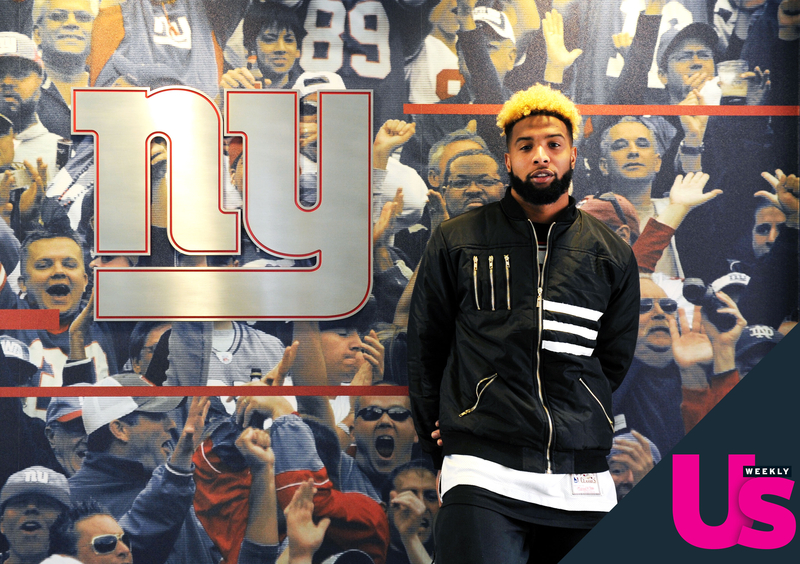 New York Giants wide receiver Odell Beckham Jr. is known for catching pretty much anything — and his blond-topped mohawk hairstyle. 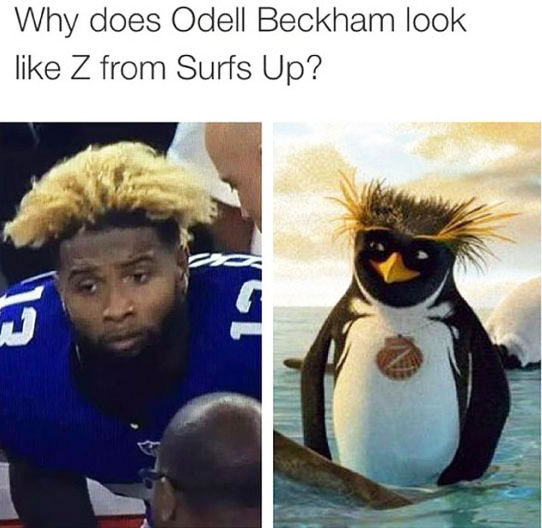 But in September, when his look made the rounds as a meme on the Internet (as a plate of French fries, an animated penguin, and a Drumstick ice cream cone, to name a few), Beckham Jr., 23, took it in stride. That perfectly coiffed look doesn&apos;t come without a bit of help. “You know my barber Art does a great job at making it look presentable,” he says of Arthur Pique, who he&apos;s been working with for over two years. However, the wide receiver gets a little more serious when he reminds Us of his childhood, where scoring the latest It-sneaker didn&apos;t come as a given. “It’s important to think about how blessed and how far we’ve come because even as a kid, I remember my parents struggled to get the Nikes and the Jordans, and knowing that I wanted them, they were going to work and do whatever was needed to get them,” he says.